On Sunday afternoon, April 7th, our Shrine was hosting a movie screening of a Douglas James Vail film “XL: The Temptation of Christ” (2019). 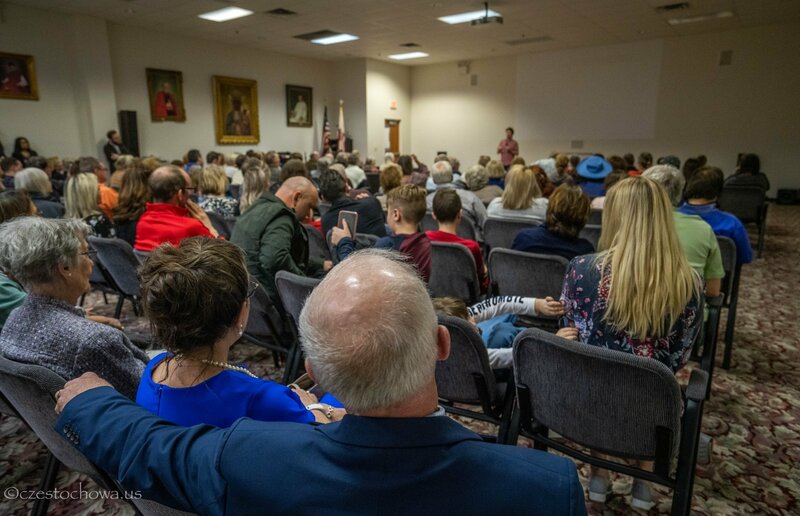 The screening took place in the Conference Room in Visitor Center and it was proceeded by a talk and presentation by Douglas James Vail, who is also the Director of FaithWorks Pictures. He shared with everyone his touching and faith filled journey of making this film about Jesus Christ. Currently residing in California, Vail is originally from the Bucks County area and grew up attending the Shrine of Our Lady of Czestochowa in his childhood. Close to 200 people attended the screening, including the director’s family and friends. The Film will soon be shown in some theaters and at the Film Festival in Cannes, France. Our Shrine is extremely grateful to Douglas James Vail and FaithWorks Pictures for organizing this screening for our community. God Bless!